If you want to making your brand instantly recognisable across all of your online platforms you need to set your Brand Style Guidelines. Your Brand style guidelines, (or brand book, or Style Guides) are the rules you set for your content, so you communicate a consistent message across your platforms. If you think of how wearing a uniform to work immediately establishes a professional business image. You’re brand style guidelines are like a uniform for your business. 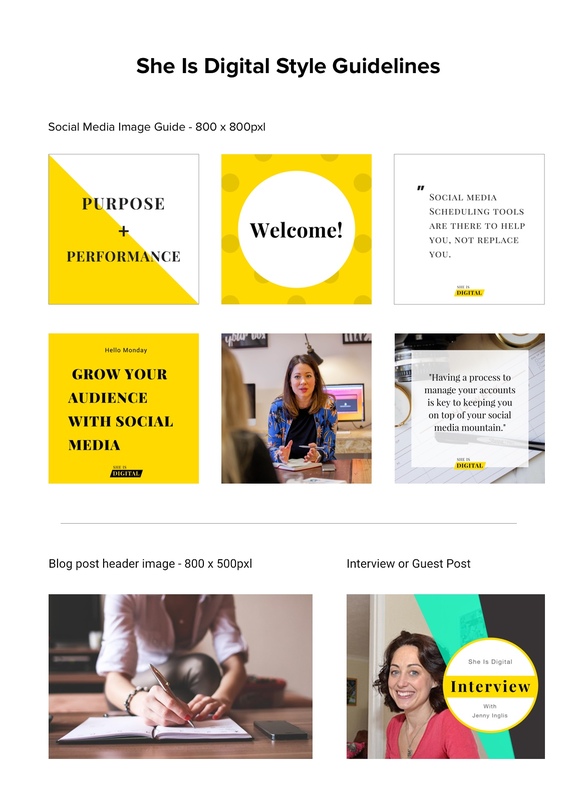 As a little Brucey bonus they’ll save you time when it comes to creating fresh on brand content for your website, blog, or social media channels. Include your logo and all of it’s alternative formats. You might need to include different coloured version, size variations and any tag lines included in your logo. Any fonts or typefaces you use within your logo, on your website and in any other marketing material should also be included in your style guide. Make sure you note the font size and weight and any other web safe alternatives if necessary. Make a note of your brand colour values, that’s the hex code for the colours used in your logo and on your website. This will become the colour palette for all of your content. 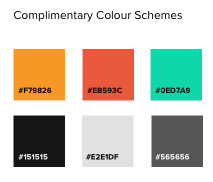 If your brand colours are limited to one or two colours, you can use tools like the Adobe Colour Wheel to help you create a complimentary colour scheme around your existing brand. To make my life easier when it comes to creating social media content, I also add post style guides to my brand style guidelines document. It details what formate different post types need to be in so I can keep my social media feeds looking super on brand at all times. If you want to make your brand style guide really detailed you can include things like your tone of voice. This can be really useful if you have more than one person updating your blog or social media channels for you. Define certain words and phrases that are more on brand. For example, a business coach would use very positive and motivating language and avoid criticising or negative tone. 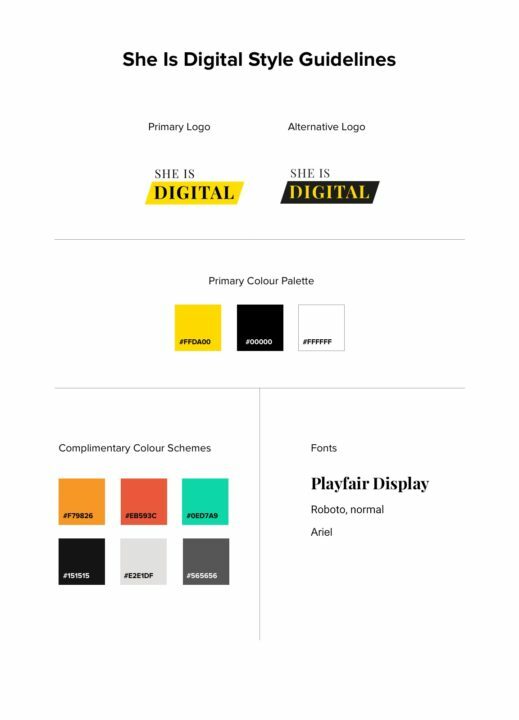 You don’t have to be remotely creative to put together your brand style guidelines either. 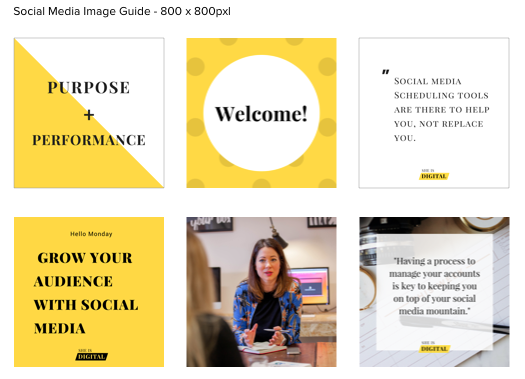 Tools like Canva will help you put together a simple brand style guidelines template for you, or there are plenty of templates on Pinterest for you to get inspired by. If I’m stuck for content ideas or taking too much time over post updates, I refer back to my style guides. They keep me laser focused and my content 100% on brand. Brand style guides are also great if you outsource your content creation to someone else. Just give them a copy and they’ll create the right type of content for your business every time.